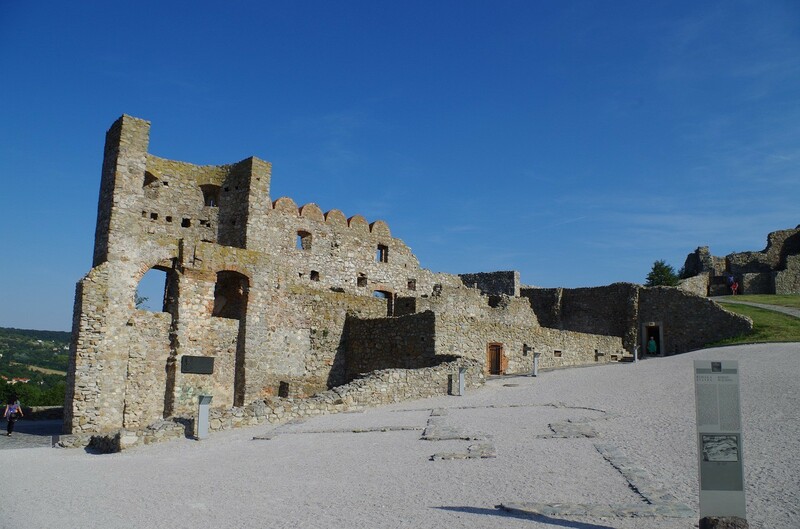 Devin Castle is one of the most popular places to visit among tourists coming to Bratislava. But, how can you get to Devin Castle? What will you see once you get there? The fabulous Devin Castle is located on a hill next to the Danube, about 13 kilometers from the city center of Bratislava. It is easy to get to the castle using public transportation, by car, by taxi, and by boat. But, if you decide to pay Devin Castle a visit, what can you expect? There has been buildings and fortifications at the present spot since the Iron and the Bronze age. The hill on which the castle is located is more than 200 meters above the sea level, and it has a strategic location with splendid view. It is on the border between Austria and Slovakia, and on cloudless days you can enjoy a magnificent view from this place. This is something that people have known for centuries, and has increased the importance of the castle even more. The castle has been occupied by all sorts of people and nationalities, especially between 13th and the 17th century. After the Siege of Pressburg in 1809, the retreating forces of Napoleon destroyed the Devin Castle. It might be that they considered it still a threat, and that was the reason for destroying it. Today we can see the remains of the castle, and also see the result of quite a lot of renovation work. Some archaeological diggings testify of remains of a Roman tower dating from the 1st century, testifying of the importance of this location throughout history. As you visit Devin Castle today, there are two areas to visit. You have the area down by the Danube, and you have the castle itself on the top of the hill. You should visit both! To visit Devin Castle, you need to buy a ticket. The other part is free to visit and it offers a stunning view as well. For a very thorough guide on what to see as you visit Devin Castle, visit this site. The most popular part belonging to Devin Castle is the so-called Maiden’ Tower. This is not located together with the rest of the castle, but down by the Danube. This is a castle that has given name to legends throughout the centuries. This is were imprisoned daughters were willing to jump to spend their lives with whomever they might truly love. How to get to Devin Castle? 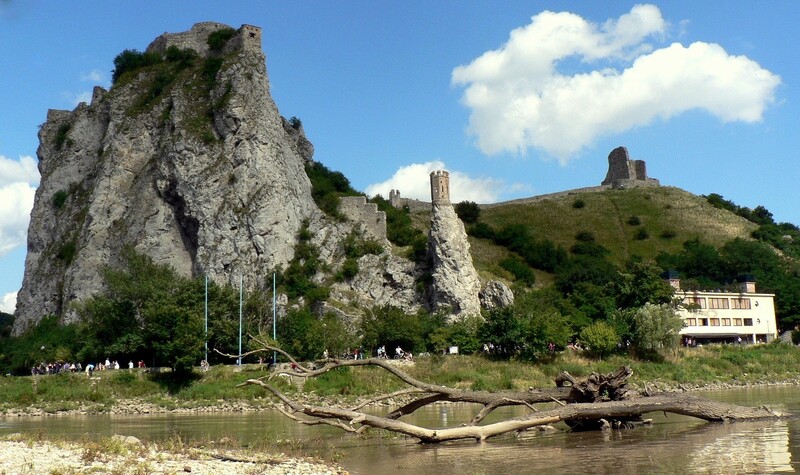 It is very easy to get to Devin Castle from Bratislava. If you have a car, simply type the information in your GPS, and you will get to Devin Castle quickly. If you want to use public transportation, get to the New Bridge (the bridge with the UFO on). On the side of the bridge which is in the Old Town, you will find the stop of bus 28. Get on this bus and travel to the bus stop Devin. The bus travel time is about 20 minutes. Make sure to have your tickets in order before you get on the bus! A third option is traveling to Devin Castle by boat. This is a scenic experience, and the boat ride takes about 1 1/2 hours. You will then have somewhere near 2 hours by the castle before the boat will take you back to Bratislava again. You can see the full boat schedule here. The price for a return ticket with the boat is 13 Euro per adult (as of September 2018). Are you still thinking about which city to visit for some Christmas market shopping in 2018? Why not do something un-traditional and visit Bratislava? Bratislava is a quite small city with a population of approximately 500,000 people. You can easily feel this when you visit the city, as the inner city is quite small and easy to discover. This is what Thomas tells about in the story of his day-trip to Bratislava as well. But, the fact that the inner city is small, doesn’t make it boring. There are plenty of things to see and discover while in town, and it is perfect if you want to visit the different Christmas markets only by walking a few hundred meters. 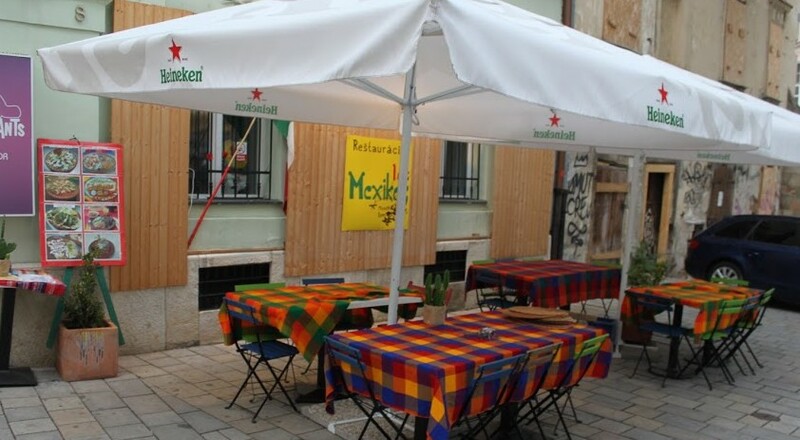 There are several smaller markets here and there in Bratislava, but the two main markets can be found at the cities main square, and at the Hviezdoslav square. These can be found very close to one another, making it very easy to walk between them. The market on the main square has beautiful lights and the famous Maximillian fountain in the middle. The market at the Hviezdoslav square is much bigger (due to the size of the square). Here you can also find an ice skating rink for kids, and if you want to live in the heart of the city, the Radisson Carlton hotel at this square can be warmly recommended. What are the Christmas market dates in Bratislava in 2018? Are you unpatiently waiting for us to reveal the Christmas market dates in Bratislava in 2018? The markets will open two weeks after the opening in Budapest, and one week later than the first markets in Vienna. That is, they will open on November 24th, and they will remain open until December 22nd. If you want to read more about the different Christmas markets in Bratislava, check this article. If you have any comment or questions, use the comment field! Are you going to the Christmas markets in Bratislava? Are you looking forward to it? You should! But, before you go, read this article to enjoy the Christmas markets to the max! The annual Christmas markets in Bratislava brings tens of thousands of tourists to the town and lots of locals to the city center of Bratislava. These markets will give you the chance to experience the local culture and buy lots of products you will not find in regular stores. So if you want to enjoy your stay in Bratislava, use five minutes to read this article. It will help you in your preparation, and it will also share some insight that will help you return home with cool experiences you will remember for a long time. Do not travel to the Christmas markets in Bratislava and think that you are only going to eat food that you like and know. Come with an open mind, and prepare yourself for new tastes! Half the fun in visiting Bratislava and the Christmas markets is experiencing things you haven’t experienced before, and tasting stuff you haven’t tasted before. Do not be afraid of tasting something that you will not like, rather be afraid of missing out on something that you might like. Do not only arrive with an open mind but bring some warm clothes in your suitcase. You might drink a whole lot of hot wine, and it will for sure help you stay warm, but some warm clothes will prove themselves even more useful. During the daytime, you will often experience beautiful sunshine and quite nice temperatures, but as soon as the sun goes to bed or hides behind some buildings, the temperature will decrease, and you will get cold. The best way of avoiding that is, of course, bringing warm clothes, warm shoes and whatever you need to keep warm. Would you like to live in the very heart of Bratislava? Would you like to leave the hotel and be by the biggest Christmas market in Bratislava at once? If your answer is yes, then you should stay at Radisson SAS Carlton in Bratislava. This is the most central hotel in Bratislava. It might be more expensive than other hotels, but you will save a lot of time living in a hotel as central as this one. If you want to live at a cheaper hotel, but still in the center of Bratislava, we can warmly recommend Hotel Michalska or Hotel Arcadia. Why is it important to live in the city center? You will save a lot of time. It is also very convenient because you do not have to bring all sorts of clothes with you out all the time. If you start freezing, return to your hotel room and put on extra clothes. If you get too hot, leave the clothes in your hotel room and come back for them whenever you need them. If you live outside the city center you will use money on cabs and public transportation, and of course spend lots of time traveling/walking, so all in all, we believe you will do better simply booking a central hotel in Bratislava instead. 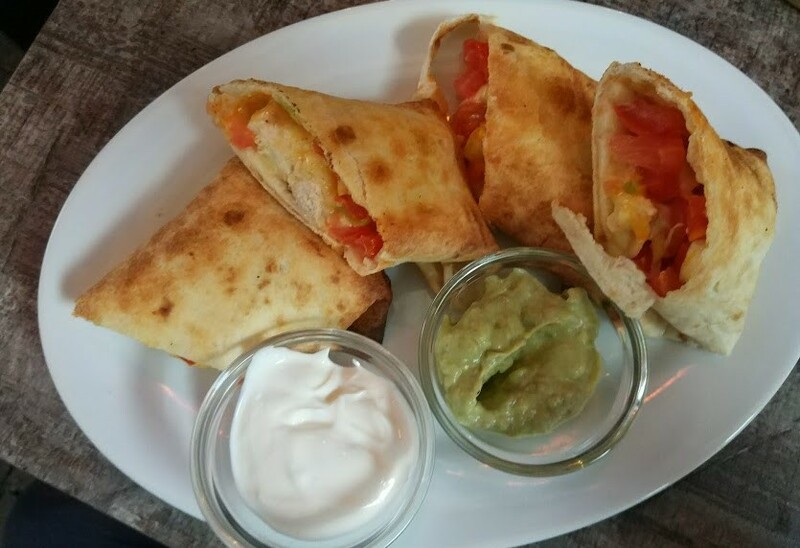 Have you read about a Bratislava restaurant that you for sure want to visit? Do not forget to book a table in advance. 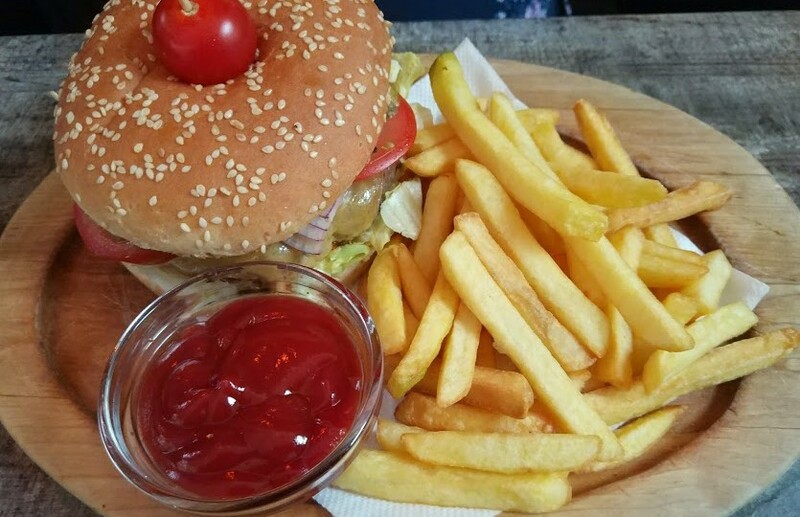 You might think that it is easy just to drop by, but in December both locals and tourists visit their favorite restaurants in Bratislava, and it can often happen that a restaurant is fully booked. It is important to remember that lots of companies also have their “Christmas celebrations” in December, and thus they go out to eat with all their employees. This, combined with lots of tourists, will cause restaurants to be fully booked/reserved. So, go ahead and book your table in advance, at least if it is important for you to visit a certain restaurant. Are there other programs you want to take part in? Book them as early as possible! If you come to Bratislava and have some time left, why not make a day trip to Bratislava or Budapest, or maybe even Prague? Vienna is the most accessible city to visit as it can be reached in less than one hour from Bratislava. Budapest and Prague are a bit further away, but if you have a private driver, these are both destinations easy to visit on a day-trip from Bratislava. If you have 3-4 days in Bratislava, you might feel as if you have discovered the essential places and Christmas markets after the first two days. In such cases, a day-trip to one of the mentioned cities might be a great program. 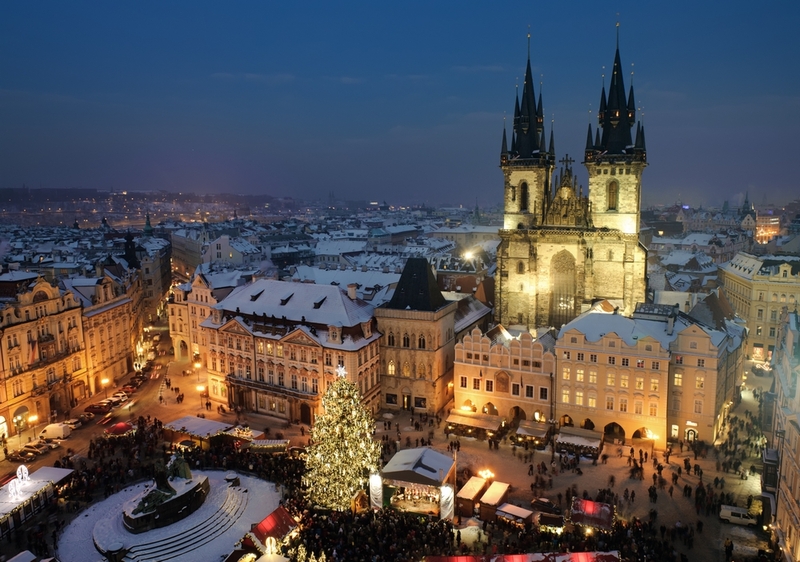 It should also be mentioned that these cities all have fantastic Christmas markets! If you come from a nation with Euro this should be no problem. But, if you visit Bratislava for the Christmas markets and do not have any Euro’s in your wallet, you should get some. You can pay with your card in most stores in Bratislava, but at the Christmas markets, you will normally have to pay with cash. For that reason, get hold of some cash, and the best way to get some Euro is by using an ATM. It is much funnier to visit the Christmas markets in Bratislava if you have a large suitcase in which you can bring extra stuff with you home. If you come with hand-luggage only, you will visit the markets and know that “I cannot bring anything with me home anyway.” That is a boring mentality, and it is much cooler if you discover Bratislava and the Christmas markets knowing that anything is possible, and you look for great products to bring with you home. The dates for the Christmas markets in Bratislava differ from year to year. Make sure to check them out, so that you will not arrive too early, or too late. You can read more about the Christmas markets in Bratislava (including dates) in the linked article. 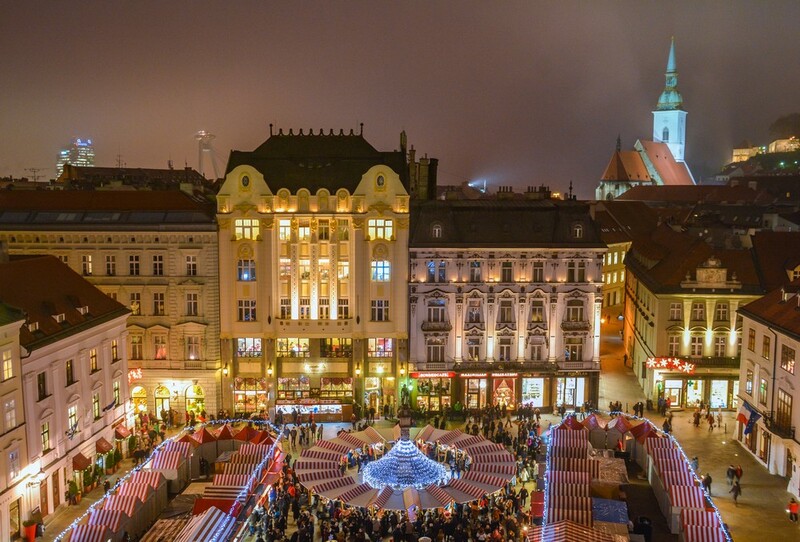 What is your Bratislava Christmas market advice? Have you got any advice that you would like to share with our readers? 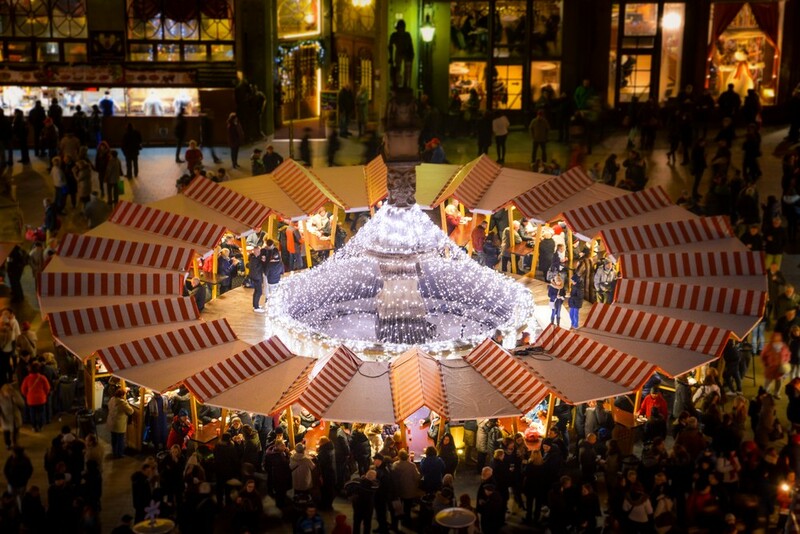 Have you got a question about the Christmas markets in Bratislava? Use the comment field beneath and let us hear! Are you bored in the capital of Slovakia and look for options for day excursions from Bratislava. Are you considering a day-trip to Prague from Bratislava? Most travelers would agree that Prague has lots more attractions and famous sights to offer its visitors than Bratislava. For that reason, most people have already been to Prague, but they have yet to discover the beauties of Bratislava. But, if you still come to Bratislava and would like to do a day trip to Prague, then it can be done quite easily. There are bus companies operating buses between Bratislava and Prague, for example, Orangeways and Flixbus. You can do a quick Google search for those companies to book your tickets right away. There is, however, better options, and the best option is for sure your own private car. If you use a bus you will have to use time getting to the bus station in Bratislava first, then you need to get from the bus station in Prague to the city center, and as you leave Prague in the evening you will have to repeat those actions again. For that reason, a private driver or your own private car is far more convenient. The distance between Bratislava and Prague is 328km. Almost the entire road is done on highways, and the quickest route passes by the city of Brno, another Slovakian city you might consider to visit. According to Google Maps, the travel time from Bratislava to Prague with your own car should be a bit more than 3 hours, without stops. If you want to stop and have something to eat along the way, then the travel time will, of course, be even longer. You should of course not forget that when you actually arrive in Prague you will also need to find a place to park your car, and often you spend a long time doing so (unless you have planned where to park your car in Prague), so our recommendation is that you plan this beforehand in order to save time and get the most out of your day in Prague. What to do in Prague on a day trip? You will find lots of advises concerning your day trip to Prague in the Prague Guide. There you can also check the list of what’s on in Prague, in case you would like to travel to Prague to check out a concert, a festival or some other cool program. Our general suggestions for a day in Prague would include walking across the Charles Bridge, visit the Old Town square, eating a Czech Goulash and taste some local beer, and maybe do a river cruise on the Vltava River. We hope this information will help you out. If you have further questions or comments, just use the comment field beneath. Can I watch Slovakian football on Fubo TV? I have heard lots of great stuff about the Fubo TV streaming service. Is it possible to stream Slovakian football there as well? Unfortunately the Slovakian club football is quite poor, at least at the moment. Slovan Bratislava is one of the best teams in the nation, but they are still not good enough to perform well at an international level. They have been close to qualify for the Europe League/Champions League a couple of times, but unfortunately things always end up wrong in the last match (or second last), and thus there is little to rejoice in for fans of Slovakian football on the international club level. But, luckily the national is doing much better, and Slovakia has some fantastic football players active in some of the best leagues in Europe. But, when it comes to streaming Slovakian fotball on Fubo TV the answer is no. It can unfortunately not be done, but there is still so much football to watch on Fubo TV, that you might not even miss the Slovakian football. Since February 2017 you can stream the top leagues and tournaments in Europe on Fubo TV. If you want to know more about Fubo TV, then you can read the following Fubo TV review for screenshots, general information, price information and much more. Since Fubo TV broadcast both Europe League and Champions League we have a hope that in the near future you can watch some Slovakian teams on Fubo TV as well. What’s up with Slovan Bratislava? If you take a look at the standings for the Slovak Super Liga at the moment you might be surprised to find out that Slovan Bratislava is only located on the second spot, and quite far behind the leading team which is Zilina. That teams origins from the city of Zilina which is about 200km from Bratislava, and not so far from the Polish border and a city like Krakow. There are still some matches left, but we have our doubts about Slovan Bratislava being able to catch up on Zilina. What do you think? Free shipping from Amazon.de to Slovakia! Would you like to order a product from Amazon.de to Slovakia? 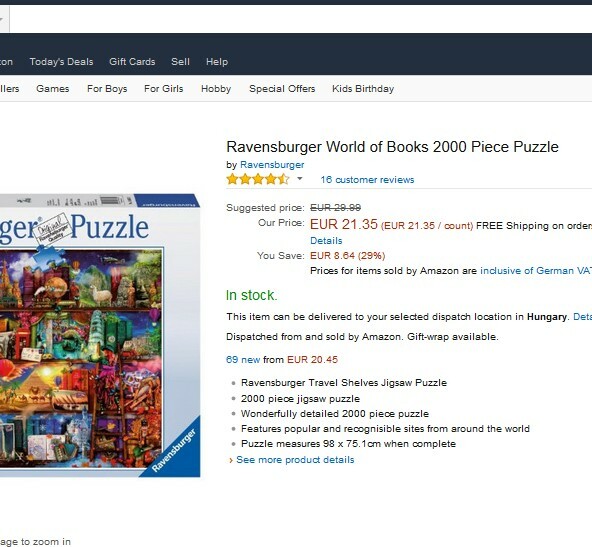 Live in Bratislava and want to buy on German Amazon? You can now get free shipping as you order! In the middle of November 2016 it was announced that Amazon.de now offer free shipping on orders of 39 Euro or more to nations such as Slovakia, Hungary and the Czech Republic. It is a requirement that you order has to extend 39 Euro, but this principle is also used by companies in Slovakia, so that is not strange. You should however pay attention to the fact that this free shipping only works for orders that are shipped by Amazon.de. If the product is dispatched by some other company then it will not be available with the free shipping. But, most products on Amazon.de are dispatched by Amazon.de as well, but keep this in mind. The German language is a nice one, but most people in Slovakia rather prefer to speak and read English. That is why it is a brilliant upgrade as Amazon.de can now be reached in English as well. You can read more about how you can visit Amazon.de in English in this article, or you can press the link beneath to visit Amazon.de in English directly. Are you ready to do some shopping? We have personally tried this and it works fantastic. And the fact that you get free shipping on orders exceeding 39 Euro makes it even better than it has ever been. In fact it makes it much cheaper than lots of local stores in Slovakia and in Bratislava, so make sure to compare prices with the German Amazon store before you go ahead and purchase something from a local store in Bratislava. We are writing this article on Cyber Monday and today there are lots of special deals available on Amazon.de as well. There have been major discounts available throughout Black Friday, but they are soon to stop as Cyber Monday comes to an end. 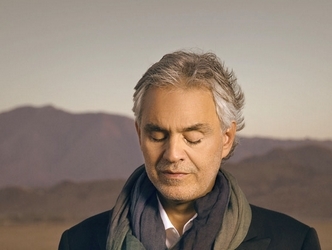 But, check the Amazon Store in Germany to see if they have any discounts available that will be of interest to you!